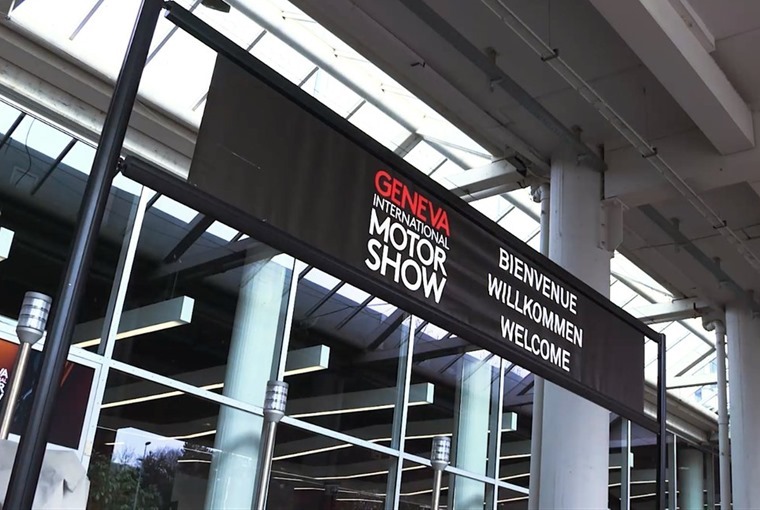 Another year and another Geneva Motor Show comes and goes. Like Christmas, excitement builds all year to a big crescendo and then you’re faced with the overwhelming results of that thing you’ve been looking forward to so much. If our site stats are anything to go by, you’re as excited for the X-Class as we are! 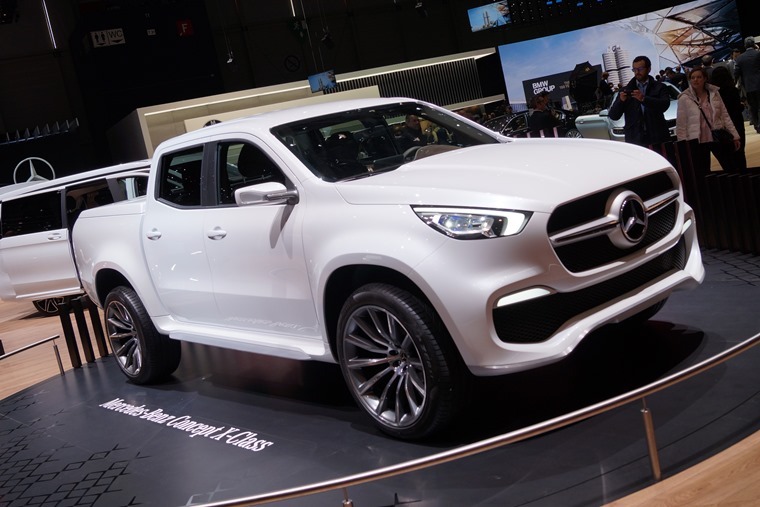 As Mercedes-Benz’s first ever ‘executive pick-up truck’ the X-Class will combine the hallmark strengths of a pickup – tough, functional, strong, and with off-road capability – with the classic characteristics of a star-branded vehicle – design, comfort, driving dynamics, and safety. Available in two styles, the classy looking “Stylish Explorer” and “Powerful Adventurer” variant, the Mercedes-Benz pickup hopes to bridge the gap between commercial and private and between urban and rural use. Dr Dieter Zetsche, chairman of the board of Daimler AG and head of Mercedes-Benz Cars, said: "With the Mercedes-Benz pickup, we will close one of the last gaps in our portfolio. Our target: we want to offer customers vehicles matching their specific needs. The X-Class will set new standards in a growing segment." Though it was the concept on show at the event, sales are expected to begin in early 2018. The Honda Civic Type-R had a lot of tongues wagging when it was revealed at the show, and if looks and performance are anything to go by then hot hatches will struggle to get any hotter than this. Using the new 10th-generation Civic as its base, the styling is as extravagant as ever featuring an air curtain at the front, massive rear wing, central three-pipe exhaust and all offset by 20in alloys. Not to mention under the bonnet where a turbocharged 2.0-litre VTEC engine resides, producing 316bhp and a 400Nm of torque, and the smooth and precise six-speed manual transmission has been further improved by a rev match control system. This all equates to the new Type R being more comprehensively aerodynamic than the previous model, meaning a best-in-class balance between lift and drag contributing to greater high speed stability. From top to bottom it has been engineered to deliver the most rewarding drive in the hot hatch segment and we can’t wait to put that to the test. 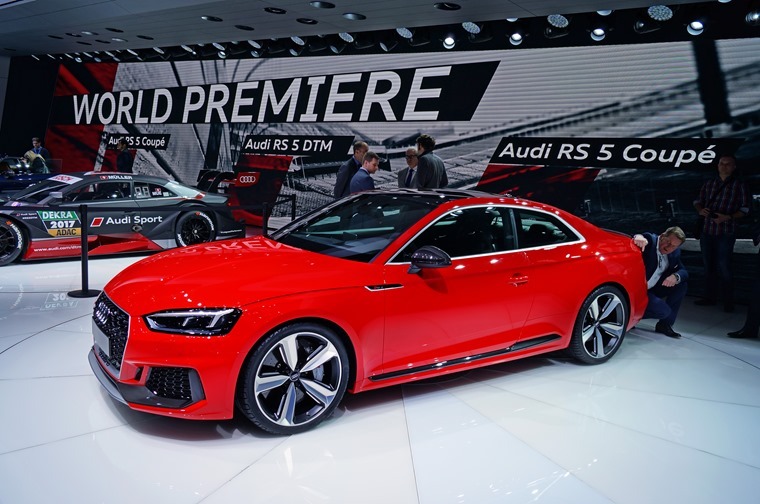 Standing at the head of the A5 pack and acting as a cornerstone of the Audi Sport stable, the new RS 5 Coupe is here to assert its dominance. How does it plan on doing that? By delivering phenomenal pace from its brand new V6 biturbo TFSI engine, a lighter overall weight and a healthy hike in torque. That means 450PS and 600Nm of torque from 1,900 – 5,000rpm, 0-62mph in just 3.9 seconds, overall weight reduction of up to 60kg and a top speed of 155mph. With dynamic handling at its fore, the V6 biturbo’s power flows through an eight-speed tiptronic with optimised shift times to the quattro permanent all-wheel drive. On top of all that, a special RS display in the virtual cockpit provides information on tyre pressure, torque and g-forces and a shift light prompts the driver to upshift upon reaching the rev limit. Vorsprung durch Technik indeed. Ordering will open in May with first deliveries expected in the summer. 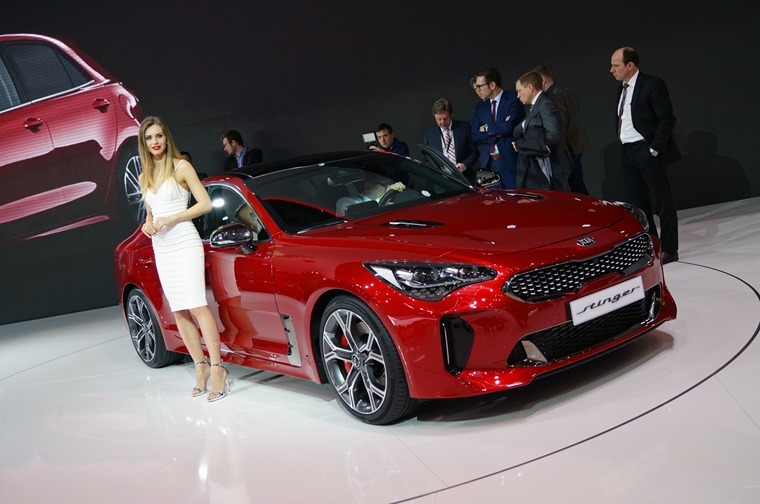 Overcoming any badge-snobbery and instigating a lot of double takes, the Kia Stinger proved to be a big draw at the Geneva Motor Show and for very good reason. Kia’s powerful new fastback sports sedan channels the spirit of historic grand tourers – powerful, elegant vehicles capable of moving their owners in style and at speed – and has been designed and engineered to offer a head-turning aesthetic with engaging, rear-biased power delivery and nimble handling. Having previously been revealed at the Detroit Motor Show at the beginning of the year, this was our first glimpse at what specs will be available in Europe. The Stinger will be available with a choice of three engines: a 2.0-litre turbo petrol engine (255 ps power output, and 353 Nm maximum torque), a 2.2-litre turbodiesel engine (200 ps, 440 Nm), and a 3.3-litre twin-turbo V6. The 3.3-litre engine produces 370 ps with a maximum torque output of 510 Nm, and accelerates from 0-62 mph in 5.1 seconds – making it the fastest-accelerating and most powerful car Kia has ever produced. The Stinger is the result of years of dedicated design and development work and will go on sale in late 2017. As such it is 4,803mm in length which is five centimetres shorter than the Sport, the roof is a mere 5mm taller than the Evoque, and it features horizontal tail-lights similar to the Evoque only stretched and slimmer – much like the car itself. Inside the Velar it’s business as usual, offering the kind of class and refinement you know and expect from a Range Rover. This includes a cool Touch Pro Duo infotainment system split between a landscape touchscreen showing satnav directions and a portrait touchscreen which acts as a replacement for the various knobs and buttons you find inside a car. 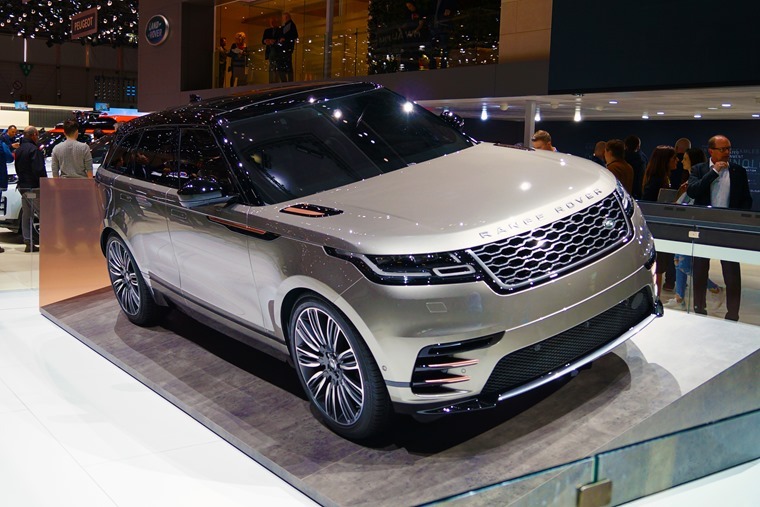 At launch Range Rover has announced a wide variety of engines, with deliveries expected in the summer.